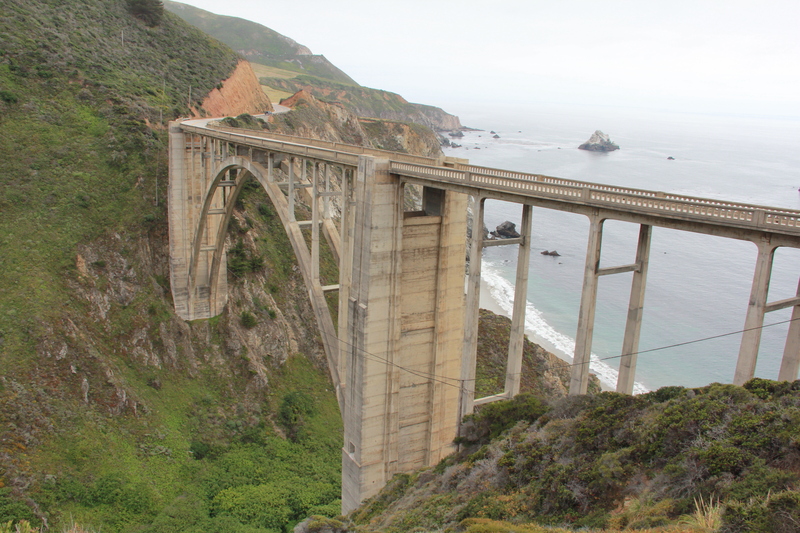 One of the most beautiful bridge spans to see along highway 1 is Bixby Bridge. It’s massive and magnificent. 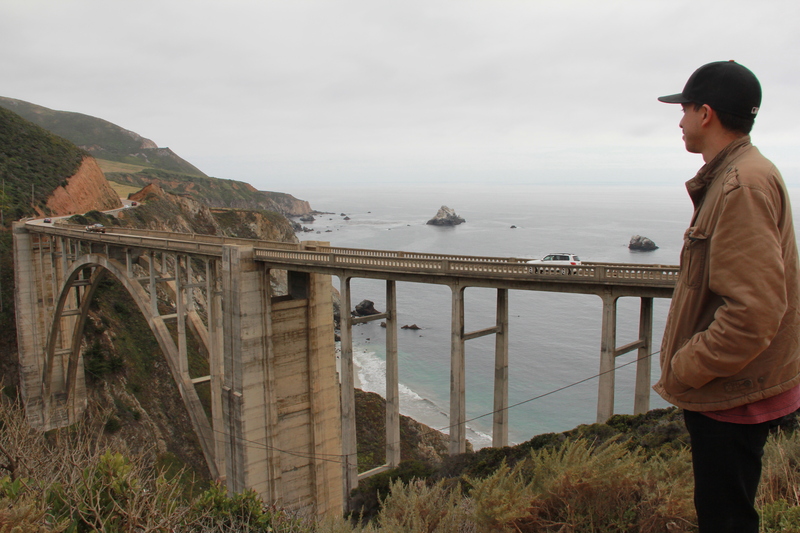 I’d seen pictures of this bridge and had always wanted to set my eyes on the real deal when I were to make a trip to Big Sur. I was so delighted on our road trip last weekend that we were able to drive over it and stop to take it all in. Rob taking it all in. Me being a little bit more cheesy. 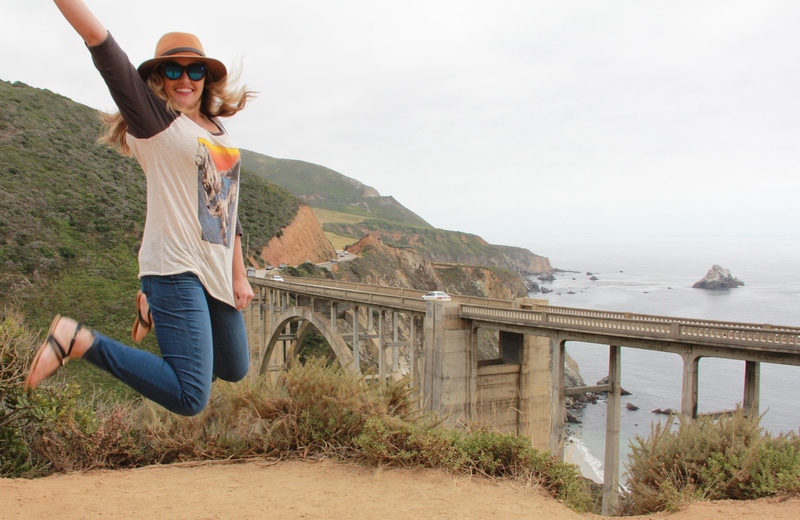 It’s more than worth it to drive to see this bridge. If nothing else, you will at least enjoy the drive along the coast and through the redwoods. I can’t wait to go back! ← Kiss & A Wink. I can’t wait to go across this bridge again in a few short weeks! I loved visiting as a kid. This is by far one of my favorite places (Big Sir/Cambria). 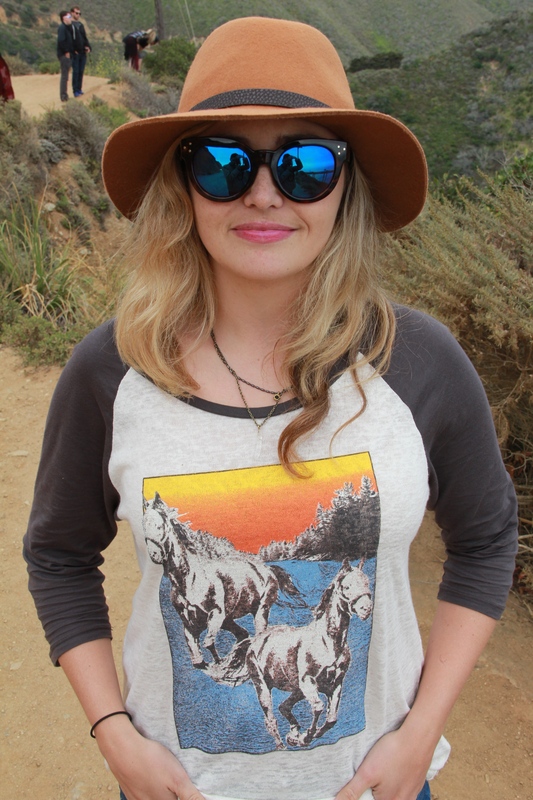 I love the shirt, looks great on you. 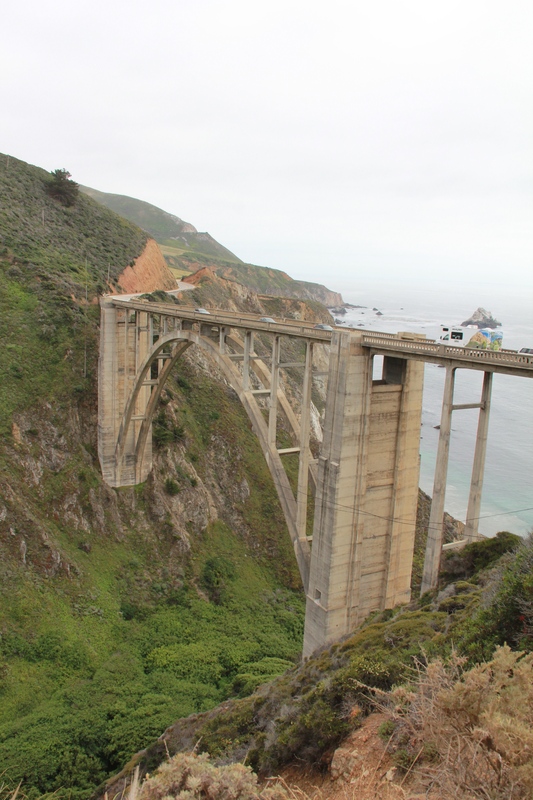 Bixby bridge is a beauty, I will definitely check it myself. Wow! What a beautiful photo! I would love to see that bridge in person.